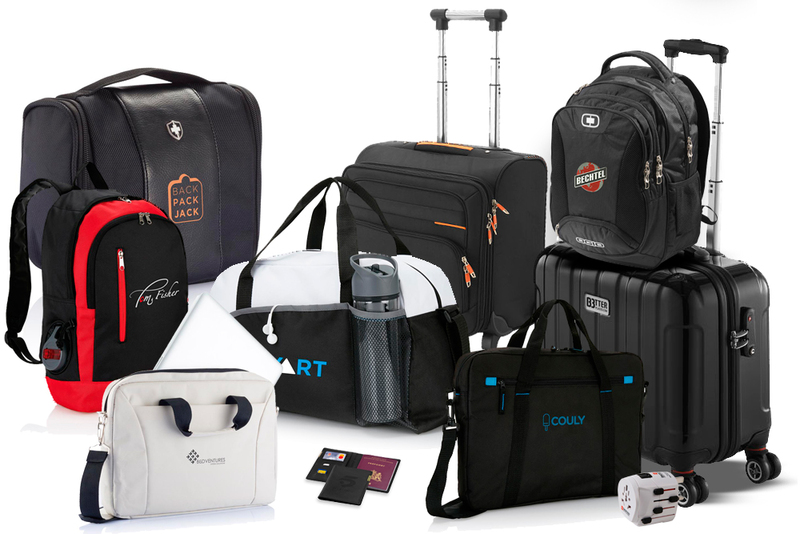 Branded bags are a great giveaway for exhibitions, events or as gift, offering great exposure of your brand whilst your customers are on the go. We have a great range of bags, from eco-friendly cotton shoppers to higher end laptop bags and luggage cases. We can even offer a bespoke service if you wanted some bags made to measure, from help with the design, through to production. A bespoke bag would be manufactured to your own design, in your own corporate colours, ensuring it to be a truly unique item. Travel adaptors, passport cases or even luggage tags are a few other items that would be well received by anyone travelling for business or pleasure.